Exclusively designed by the owner of Lapel Pins & More, this tuxedo accessory set will set you apart from all the others! For that discerning 33Ÿ???˜?? Scottish Rite Mason anywhere in the world. Among the finest tuxedo sets at spectacular prices. 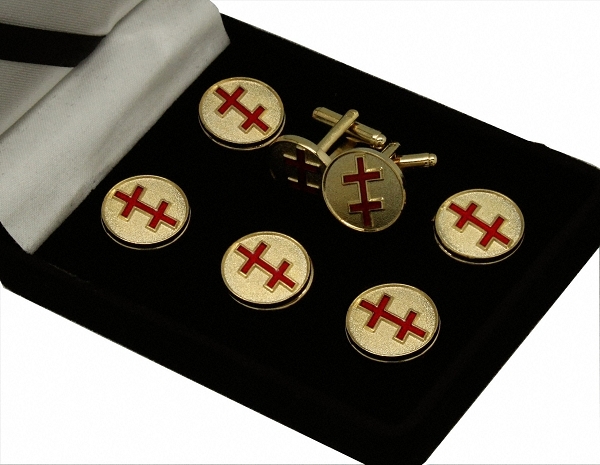 Full 7 pieces including 5 button covers AND 2 cuff links. You don't have to buy two different items from Lapal Pins & More. We combine all 7 pieces for what you would pay for much less.